Thanks to strong local and influential business folks, as well as a community that embraces the tradition, Omaha, Nebraska has been home to the College World Series since 1950. Omaha has become synonymous with collegiate baseball. 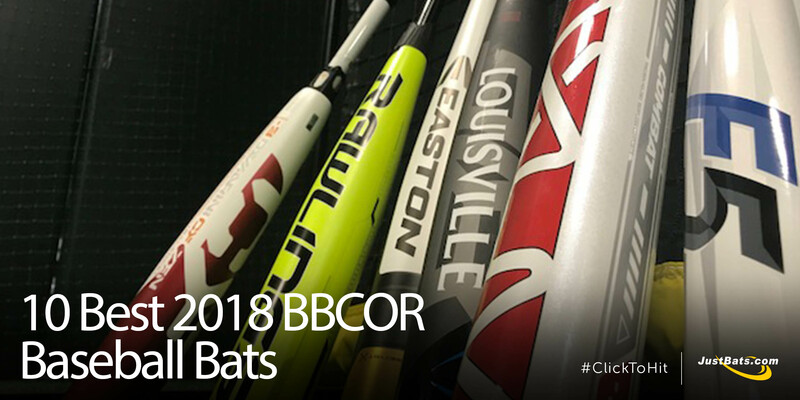 Every June the best college teams compete for the championship, and--recently--bat manufacturers have used the event as a showcase for new baseball bats. JustBats.com has taken note, so here are six (6) baseball bats seen at the 2018 College World Series that have us excited. A new year equals new bats. 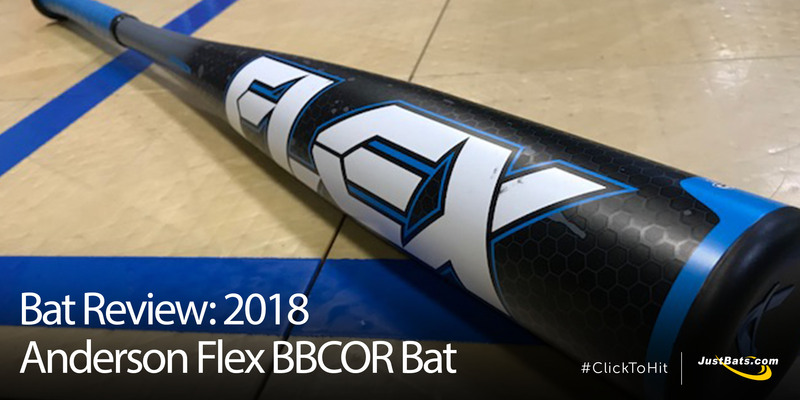 For the 2018 season, bat manufacturers have buckled down and refined their technology, materials, and cosmetics to create some of history's best BBCOR bats. The JustBats.com team has had a chance to gather player feedback, read your reviews, and see firsthand which 2018 BBCOR baseball bats are exceeding expectations. 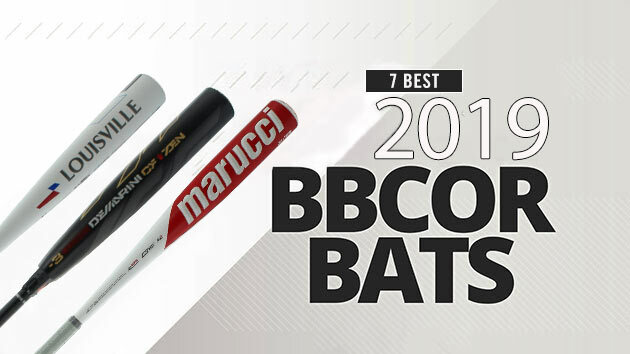 Following is a detailed list and buying guide of the top ten (10) rated and highest reviewed BBCOR bats for 2018. Did yours make the cut? When Marucci introduced its famous CAT baseball bat series, they named it after hurricane categories. And the popularity of the CAT 5, CAT 6, and CAT 7 bats have wreaked havoc on plenty of baseball diamonds. So, for the 2018 season, Marucci opted to name their new series after nature's most violent storms: an F5 tornado. Much like the CAT series, the Marucci F5 has taken the baseball world by...umm...storm. 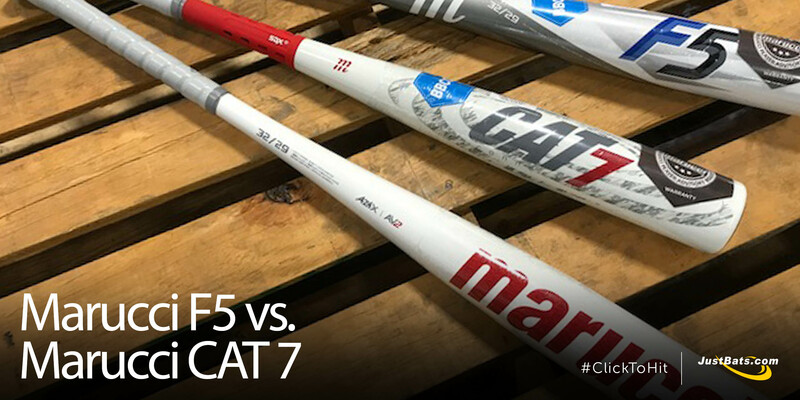 But, what's the difference between the two popular Marucci bat series? JustBats.com dives into the storms to deliver some clarity. Easton Beast X vs. Ghost X | What's The Difference? Yin and yang. Apples and bananas. Beast X and Ghost X. While these two Easton baseball bats may be on different ends of the spectrum; they are both exceptional in their own way. One is composite while the other is aluminum. One is whole from end cap to knob for a stiff feel, while the other is a two-piece construction that gives off fantastic flex. 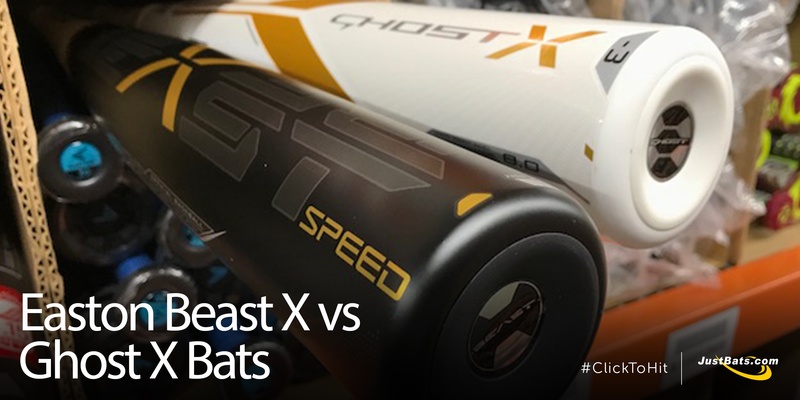 Do you know the differences between Easton's Ghost X and Beast X bats? 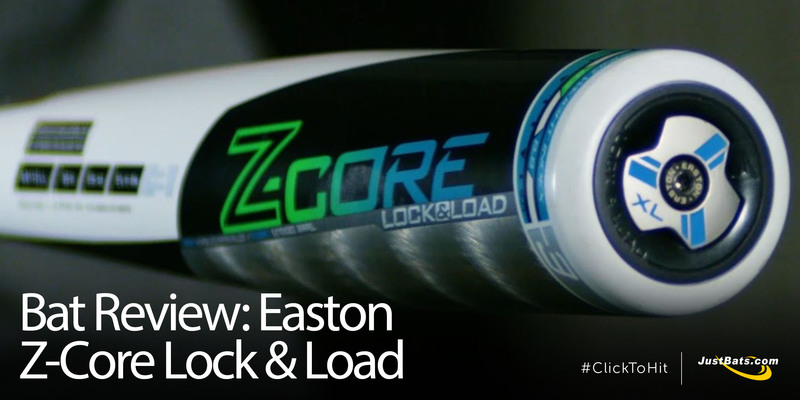 Don't worry, the team at JustBats.com is here to explain both Easton bats in detail. When Louisville Slugger introduced the Prime series in 2015, the baseball bats were billed as "the ultimate combination of speed, power, and balance in baseball." The Louisville Slugger Prime 915 boosted a premium composite barrel, stiff handle technology, and a patented three-piece construction. 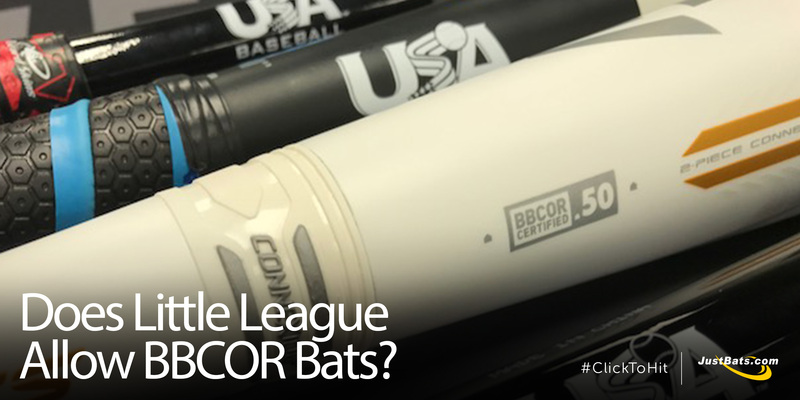 And, sure enough, the Prime 915 was one of the most popular BBCOR bats of 2015. Now, Louisville Slugger has rolled out the fourth rendition of their Prime series: the 2018 Prime 918. 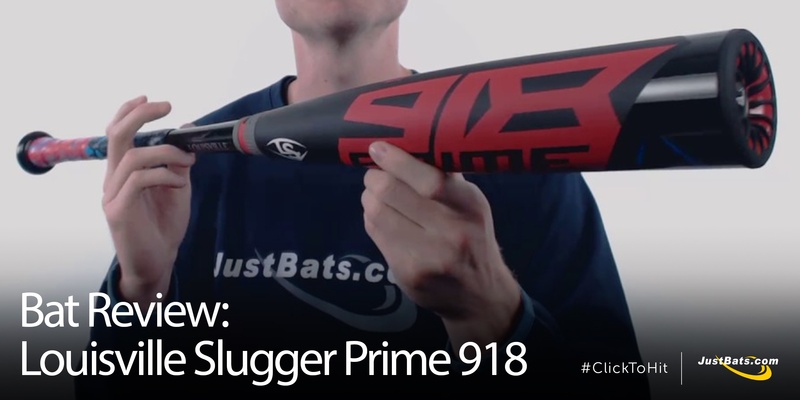 Since the Prime series continues to be one of the highest rated baseball bats, JustBats.com reviews why the Prime 918 is going to make an impact on baseball fields.